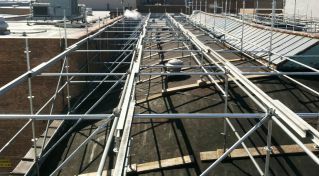 System Scaffolding is an innovative method of erecting scaffolding. 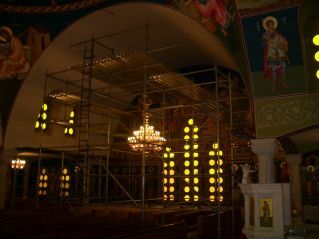 This versatile scaffold application allows for access to areas unreachable as compared to other; more traditional scaffold. 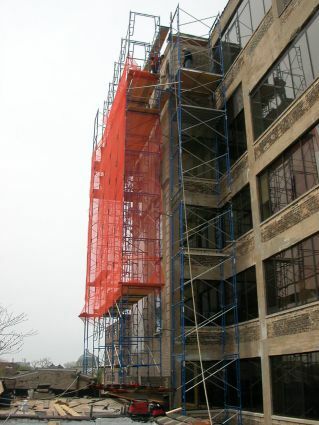 This is a more efficient method of erecting and dismantling scaffolding due to the light weight, modular nature of the system, cutting labor hours, and providing limitless design while saving costs to our customers. These engineered scaffold components allow for safe, durable use, adaptable to any project requirement. 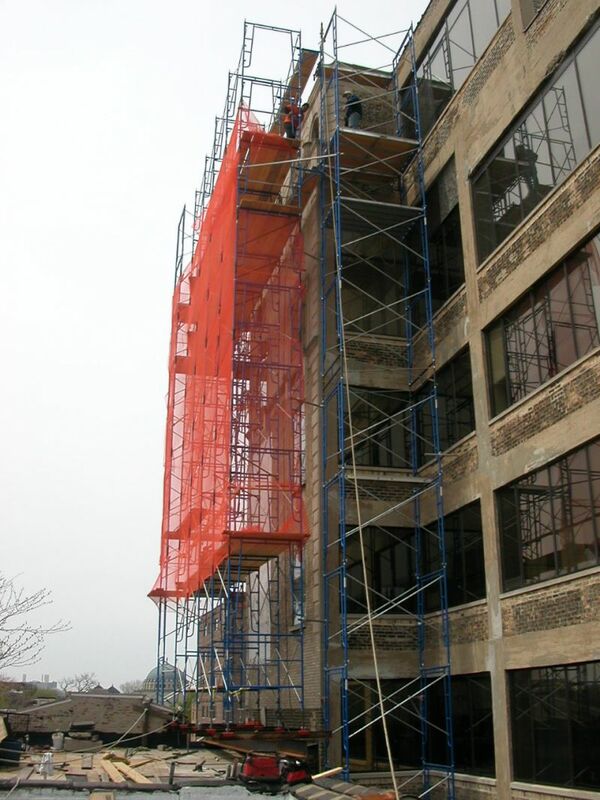 Chicago Scaffolding specializes in customization of system scaffold and false floors to meet the exact needs of our customers. The more unusual and irregular the shape or angle of structure, the better. Church steeples, building towers, city halls, clock towers, and complex facades are handled with ease with our system scaffolding. Bleachers, stages, towers for entertainment, entrance ways, recessed facades, height of platforms and loading restrictions are made easy with system scaffolding. 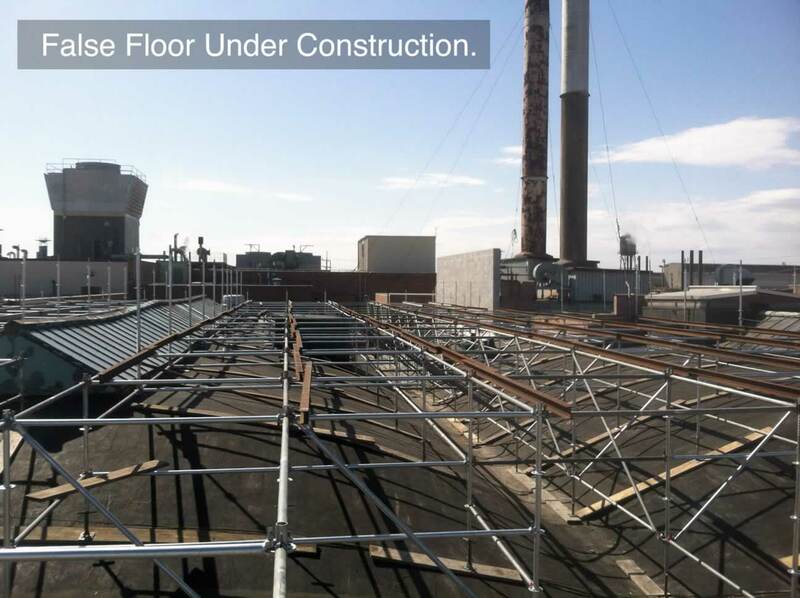 CSI provides customized work platforms (dance floors) enabling customers to have an elevated work space capable of supporting workers and material. 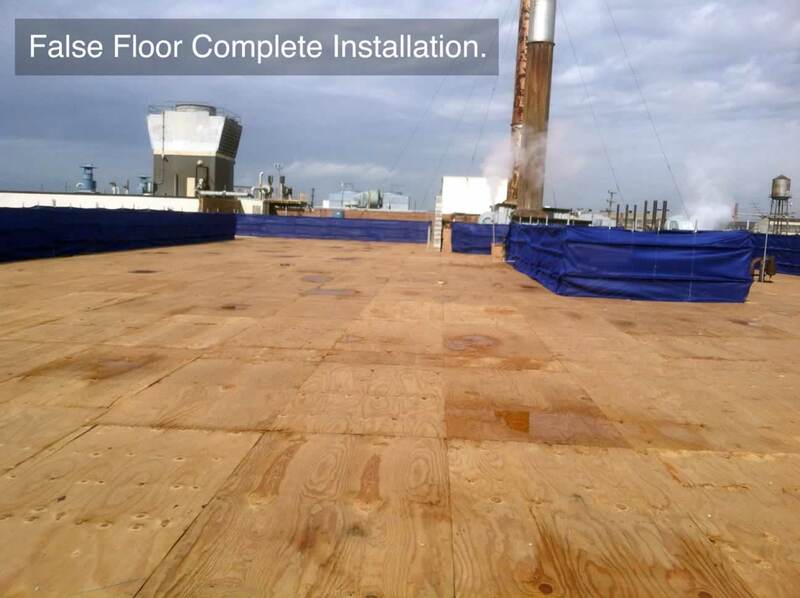 We are experienced in installing false floors on multi tiered work sites (e.g escalators, stair wells), in swimming pools, irregular rooftops and vaulted ceilings.